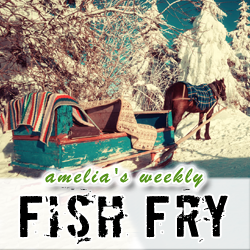 This week’s Fish Fry is all about your next PCB design. From power integrity to mixed-signal place and route, from Gerber files to schematics, from output pins over the FR4 and through the vias, to grandma’s house we go. My first guest this week is Greg Lebsack from Tanner EDA, and we discuss why you want a digital place and route tool, integrating ye ol’ analog into your next design, and what Tanner EDA brings to the mixed-signal party. Next up, we bring in Hemant Shah from Cadence Design Systems to chat about one of the biggest pain points of PCB design: the hand off to manufacturing. Hemant and I investigate a rapidly expanding industry consortium that is hoping to change all of that awful file hand off once and for all.